America’s culture of spontaneity, flexibility, and improvisation helped win the battle. The odds at the June 1942 battle favored the Japanese. The imperial fleet had four carriers to the Americans’ three, backed up by scores of battleships, cruisers, and light carriers as part of the largest armada that had ever steamed from Japan. In contrast, in the months after Midway, tens of thousands of new and superior Hellcat fighters, Avenger torpedo bombers, and Helldiver dive bombers rolled off American assembly lines in numbers unmatched by the Japanese. Before Midway, the Americans had rarely won a Pacific battle; afterwards, they seldom lost. America’s culture of spontaneity, flexibility, and improvisation helped win the battle; Japanese reliance on rote probably lost it. 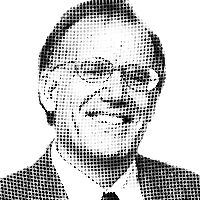 — Victor Davis Hanson is a classicist and historian at the Hoover Institution, Stanford University, and the author, most recently, of The Second World Wars: How the First Global Conflict Was Fought and Won, to appear in October from Basic Books. You can reach him by e-mailing author@victorhanson.com. © 2017 Tribune Media Services, Inc.